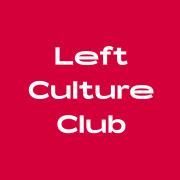 The Left Culture Club hosts social events, skill-sharing workshops, cultural activities, film screenings, reading groups and games nights for London's progressives, dissidents, and radicals. Everyone is welcome, whatever your politics or your level of political committment. The Club was created to solve a problem: how do we bring together all people trying to face the political, economic and social challenges of our times and give them a space to understand each other better, without making political parties or activist organisations the starting point? There's nothing worse than trying to get to know people and explore progressive politics when the price of admission to these spaces is making all the right political committments, reading all the right literature, or having the right backstory. The LCC wants to make the political left a welcoming place again, and that means providing a space for progressives and radicals to move together without having to sign up to each others' newsletters from day one. If you ever wanted to learn more about emancipatory politics, or if you've ever felt like your activist group or political org wasn't providing the social space that every broad movement needs in order to hold itself together, then the Left Culture Club is for you. We're committed to making every one of our events welcoming and safe for everybody. Our spaces are non-partisan, but not apolitical. 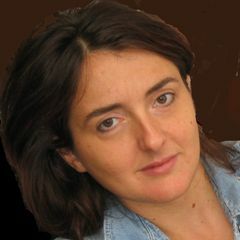 Racism, sexism, classism, forms of discrimination based on sexual preference or gender identity: all these are obviously way out of line.